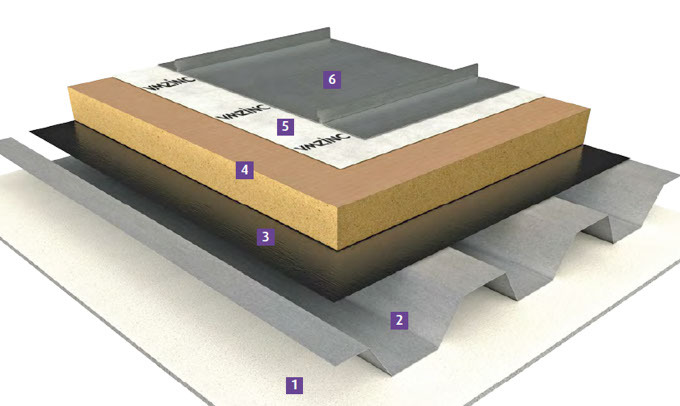 Providing the rigid insulation used meets the requirements set by the outer skin manufacturer (Kingspan TR26 or Equal is normally used, also available through ALM HM Ireland), our WARMFAST® fixing system removes the requirement for fixing standing seam metal roofing directly onto a vented outer skin of plywood or other timbers. Currently warm roofing is by far the most popular when specifying hard metal roofing as by removing the 18/22mm timber layer and the 40/50mm ventilation, the architect or building owner gains an extra 60mm/70 minimum extra interior height. WARMFAST® is becoming a highly specified option for the vast range of metal roofing materials avaiable. 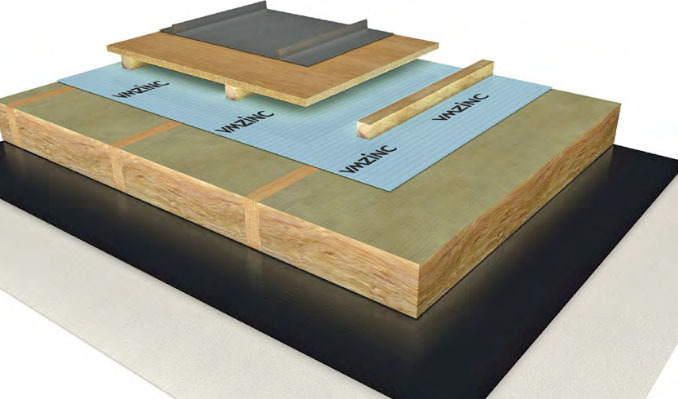 WARMFAST® fixings and Warmfast Vapour Barrier are available only from ALM HM Ireland.